ONGC Videsh Ltd, the overseas arm of Maharatna PSU OONGC, is eying over 14 per cent increase in output to 14.37 million tonne (MT) in the current fiscal, with its fields in Russia contributing half of the total. 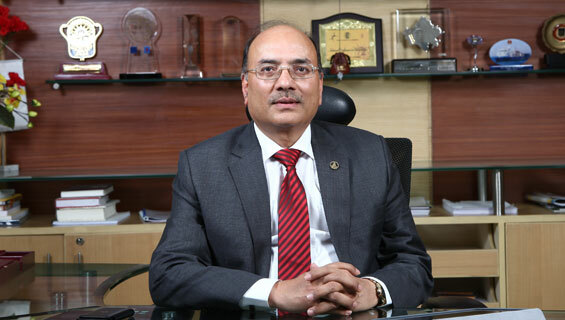 Talking to mediapersons, OVL MD Narendra K Verma said OVL had in 2016-17 produced 12.57 MT crude oil and equivalent natural gas from its assets abroad. OVL output was 8.92 MT oil and oil equivalent gas in the previous 2015-16 fiscal. OVL Director (Finance) Vivekanand said half of the current year's production would come from Russia's Vankor oilfield in which the company last year acquired 26 per cent stake. OVL bought the stake in two tranches. First, it acquired 15 per cent in May 2016 for USD 1.268 billion, and then another 11 per cent in October 2016 for USD 930 million. OVL received its 15 per cent share of oil from Vankor for the almost 11 months but 11 per cent share was only for a part of year as the deal. This fiscal, OVL will get full 26 per cent share. OVL's share of oil from Vankor will be 7.3 MT. Vivekanand said the PSU has started getting dues from Venezuela, with almost US$80 million being paid over the last 3-4 months. Venezuela owed OVL around US$ 530 million in unpaid dividends and has this year started to clear that in instalments. "We got about USD 80 million but also had to invest USD 40 million back. So net we have got USD 40 million," he said. OVL had in April 2008 acquired 40 per cent stake in San Cristobal oil project in Venezuela. Corporacion Venezolana del Petróleo (CVP), a unit of state-owned Petróleos de Venezuela SA (PDVSA), owns the remaining stake. With an investment of US$408.35 million, OVL's share of crude oil production from the 160.18 km acreage in the Orinoco Heavy Oil belt was 0.645 MT in 2014-15. OVL received US$ 56.224 million as dividend on profit made by CVP in 2008 but dividends from 2009 totalling to about US$ 530 million remained unpaid due to cash flow difficulties being faced by PDVSA/CVP. OVL is a Miniratna Central Public Sector Enterprise (CPSE) of the Government of India under the administrative control of the ministry of petroleum and natural gas. The primary business of OVL is to prospect for oil and gas acreages outside India, including exploration, development and production of oil and gas. OVL owns Participating Interests in 32 oil and gas assets in 16 countries and contributes 12 percent and seven percent of oil and natural gas production of India, respectively. In terms of reserves and production, OVL is the second largest petroleum company of India, next only to its parent company, ONGC.